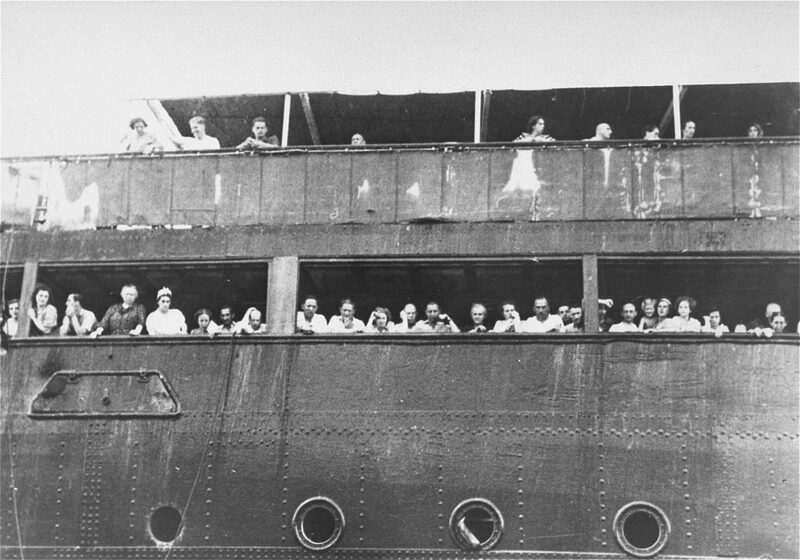 On 7 November 2018, Justin Trudeau stood up in the House of Commons and issued a formal apology to the families of passengers of the MS St. Louis as well as the entire Jewish Canadian community for the Canadian government’s decision to refuse to allow the ship to dock in 1939. As historians with expertise in the history of immigration and Jewish Canada, both of us paid close attention to the apology. While we were pleased that to see the Prime Minister drew attention to this shameful event in our history and acknowledged the long history of antisemitism in this country, we felt that it ultimately rang hollow. In our minds the contradiction is striking and not easily dismissed. How is it that antisemitism can be a quotidian part of life in Canada while the country is also associated with being a place of refuge? How did this fundamental contradiction come to be and what are the implications for the present and future? Part of the answer lies in the ease with which politicians can speak in morally righteous terms when apologizing for historical wrongs and the gulf that often exists between the symbolism of their words, their actions, and the lived experience of those most affected by the subject and substance of their apologies. MS St. Louis in Havana, 1938. National Archives and Records Administration, 306-NT-648-E-5. Although I knew that the international promotion of human rights had no priority in Canadian foreign policy, it had never occurred to me that the government would carry its indifference to the point of abstaining in such an important vote. The government’s reservations stemmed in large part due to the fact that, while the Declaration was not binding, it fundamentally conflicted with their restrictive immigration policies, the Indian Act, and the treatment of Japanese Canadians (who still did not have freedom of movement at the time of this debate). In 1948, the Canadian delegation, under Lester B. Pearson, only voted in favour of the charter once it became clear they would be part of an “undesirable” group of countries, like South Africa and the Soviet Union. Likewise, Canada’s opposition to the apartheid regime that was established in South Africa after 1948 was slow in emerging, as leaders such as Lester B. Pearson insisted that although the international community via the United Nations could serve as a “town hall” of sorts, it was inappropriate for any government to intervene in the sovereign affairs of another. In 1961, Prime Minister John Diefenbaker was widely applauded for his stance at the Commonwealth Ministers’ Meeting in which he sided with Prime Minister Nehru of India, and others, in advancing a racial equality clause (later abandoned) to establish a principle of inclusive in the “new Commonwealth”. As historian Asa McKercher has detailed, this celebrated stance was more complicated than previous narratives have suggested, in part because Diefenbaker himself was wary of encroaching too much in the domestic affairs of a sovereign state. The reason for his caution? Diefenbaker knew that Canada’s racist immigration policies and its treatment of Indigenous peoples would not hold up to international scrutiny. Maclean’s magazine confirmed this view, noting that Canada’s “shabby record” meant that it couldn’t really take the lead on South Africa. Diefenbaker’s public statements were moderated by lived realities. In 1984, when Prime Minister Brian Mulroney took up the anti-apartheid cause upon his election to office, the relationship between rhetoric and practice was closer; principled rhetoric was matched with sanctions and increased aid to civil society and the alternative press in South Africa. Where the Canadian position was weakest, however, was in the federal government’s efforts to promote a vision of principled racial equality abroad while Indigenous peoples in Canada continued to face racism and structural discrimination. In 1987, as the anti-apartheid campaign gained momentum, Chief Louis Stevenson of the Peguis First Nation in Manitoba invited the South African High Commissioner to Canada, Glen Babb, to tour the conditions of his impoverished reserve. Stevenson was determined to shame the Mulroney government into acting with regard to the conditions of Indigenous peoples in Canada. This history of principled rhetoric, constrained and complicated by lived experiences, can help us think through some of the implications of the apology offered by Prime Minister Justin Trudeau to the Jewish community in Canada. In particular, the apology serves as a reminder of how words should be met with substantive actions and concrete change. In this case, Trudeau’s apology points to the need for funding for more historical research on and investigations into hate crimes (both great and seemingly mundane), as well as more investment in education at all levels about the history of racial discrimination in this country. This funding is vital. It is due in large part to the work of historians such as Irving Abella and Harold Troper and the research that came out of the Truth and Reconciliation that we now understand much more about the full extent of historical injustices, as well as their contemporary manifestations. As all of this research has shown, historical injustices are not simply “dark chapters.” They are woven into the very fabric of Canadian society and impact the lives of Canadians of all backgrounds to this day. We must also ask difficult questions about the intended audience and purpose of apologies. Redress for Japanese Canadians included the establishment of community funds for education, leading to the creation of the Nikkei National Museum and the Canadian Race Relations Foundation to expressly focus on education. Literally, the idea was that never again should the rights of Canadian citizens be violated in such an egregious manner. Knowledge was seen as a key vehicle for ensuring this was the case. The lack of concrete actions in more recent apologies points to the dangers of words alone. When apologies are not accompanied by meaningful change, they serve only to reinforce nation-building and erase difference, using the suffering of one group of people to reinforce mainstream historical narratives about progress. Somehow, there doesn’t seem to be the conceptual space to connect a historical wrong with injustices in the present. The past must be bad so that the present can be good. Too many people – of all faiths, from all countries – face persecution. Their lives are threatened simply because of how they pray, what they wear or the last name they bear. They are forced to flee their homes and embark upon perilous journeys in search of safety and a future. This is the world we all live in and this is therefore our collective responsibility. Justin Trudeau’s words in the House of Commons earlier this month would have been much more credible if they had been accompanied by meaningful, concrete action. The B’nai Brith for instance, has outlined an 8-point plan of action for addressing antisemitism. When the Prime Minister spoke about the need to address ongoing persecution globally, he could have cast his mind to Canada’s continued participation with the Safe Third Country Agreement with the United States. This agreement essentially creates an exclusion zone using our neighbour to the south as a buffer, preventing anyone who has been denied refugee status in the USA from making a second claim in Canada. The idea is that Canada and the United States are both safe countries so a decision made in one country can be applied in another. This week, the American government made the decision to use tear gas on people at the US–Mexico border to ensure that they would never have a chance to even make a claim for refuge. Not. Safe. The quotidian violence against Indigenous people in Canada, the pervasiveness of antisemitism and the treatment of people who seek refuge today belie the notion that Canada is a safe place. The language of Trudeau’s apology would have us believe otherwise. The apology rings hollow in the face of Canada’s continued participation in the Safe Third Country Agreement, just as any language about reconciliation rings hollow in the face of continued boiled water advisories in First Nations communities across Canada and 86 Calls to Action that remain unanswered. Somewhere along the way, political leaders got it into their heads that they could compartmentalize the past, that words about historical wrongs didn’t have to connect with contemporary issues. Once upon a time, words were constrained by contemporary lived experiences. Now realities on the ground no longer constrain flowery rhetoric. In his apology, Prime Minister Trudeau said that the Canadian government was “sorry for not apologizing sooner”. Our concern is that if the government continues to apologize, instead of acting on contemporary issues of injustice, that there will be future apologies about how earlier apologies did not do enough. What a horrible, vicious circle that will be. 1. Christine Chevalier-Caron et Philippe Néméh-Nombré, “L’antisémitisme et l’hospitalité canadienne et québécoise,” HistoireEngagée.ca, 7 novembre 2018. https://histoireengagee.ca/lantisemitisme-et-lhospitalite-canadienne-et-quebecoise/. 2. “Curious about how many of the TRC’s calls to actions have been completed? Check Ian Mosby’s Twitter” CBC News, Oct. 22, 2017. https://www.cbc.ca/radio/unreserved/how-are-you-putting-reconciliation-into-action-1.4362219/curious-about-how-many-of-the-trc-s-calls-to-actions-have-been-completed-check-ian-mosby-s-twitter-1.4364330. Confronting Canadian Migration History by Andrea Eidinger and Laura Madokoro is licensed under a Creative Commons Attribution-ShareAlike 4.0 International License, except where otherwise noted.